After you retain our Multi Jurisdictional Law Firm, we’ll take care of the Debt Collectors that are Harassing you in a flash. Contact our office now to get the Debt Collection Harassment protection you deserve. Debt Collectors Hate Us! Allow us the opportunity to show you why! Our consumer rights lawyers have been hand selected and underwent a grueling interview process. We only hire the best, the proven and the distinguished consumer rights lawyers. Our consumer rights lawyers will defend your legal rights to the fullest extent of the law and make Debt Collectors Hate Us! 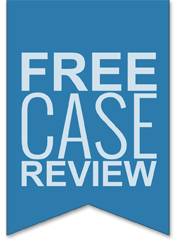 We’ve invested in unbelievable technology and combined it with unprecedented innovation to make sure every angle of your case is evaluated, reviewed and analyzed repeatedly by our qualified attorneys. A lot of firms handle these cases in high volume; we do not. You will always feel like our only client while we continue to make Debt Collectors Hate Us! As they say, “X marks the spot”. You just found the law firm that has the reputation on getting large settlements for its clients, knows how to fight for your rights, and will use its best efforts to get you your maximum legal recovery. Although we understand your main goal is probably to simply get the harassment to stop – our goal is to do that while also putting some cash in your pocket. Debt Collectors Hate Us!